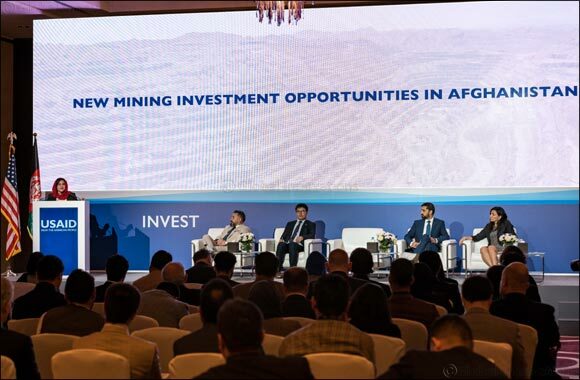 Dubai, UAE: 15 April 2019 – In a keynote address at the Afghanistan Mining Investment Forum convened by INVEST, a global initiative of the U.S. Agency for International Development (USAID) to mobilize private investment in partner countries, H.E. Minister of Mines and Petroleum Nargis Nehan announced 43 new large and small-scale mining projects available for private sector investment and development. The projects span a number of commodities and are situated in 16 of the country's 34 provinces. After anticipated tendering, an estimated $100 million will likely be spent on initial assessments, exploration and evaluation work for these projects over the next 12 months with investments increasing significantly in following years as projects advance. Tenders will cover a wide range of commodities including oil and gas, gemstones, copper, gold, marble, and talc.